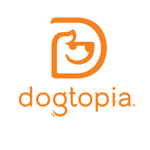 Dogtopia is a dog daycare, boarding, and spa facility committed to providing exceptional care to canines. Where every day is the most exciting day ever! We're at Bloor and South Kingsway. Relaxed, English-style alehouse with a spacious front patio, serving classic pub grub. Located at 2401 Bloor St W (just east of Jane St.). I am currently working with Royal LePage to offer information and assistance with all real estate needs. I would be happy to help you buy or sell your home. Please contact me for more information. The first Sailun tires rolled off the production line in 2001. Now, Sailun sells over 30 million tires annually in over 50 countries world wide. Sailun's amazing growth has come in large part to an indepth understanding of our customers and commitment to our Core Values. Sailun understands you need a tire that fits within your budget, but also performs. That is why we built our company around the 3 Core Values that answer your concerns. You need Quality product and service that you Trust and you need us to Support you after you leave the showroom. Sailun is With You Through Every Turn! Founded in 1987, Great Lakes Brewery is Toronto's oldest craft brewery. Independently owned by the Bulut family, we produce our beer as it was done hundreds of years ago by using an open fire, copper brew house built in Germany in the early 1900s. Our small-batch brewing process allows us to carefully blend only the finest all natural ingredients to produce our award-winning beers. Our water, hops, malts and yeast are selected from local producers and those afar on the basis of but one criteria: quality. We know there is no better place in Toronto to walk your pet than High Park in the spring. We also know that our clients won’t compromise on the quality of care their pets receive. That’s why we’re committed to delivering the highest standard of veterinary care right from the heart of your West Toronto neighborhood. 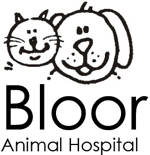 Bloor Animal Hospital is a full service animal hospital that provides care for emergency cases as well as the less urgent medical, surgical, and dental care for your pets. Our veterinarians are experienced in all types of conditions and treatments. Beyond first rate pet care, we make our clinic comfortable, child-friendly, and a very calm environment so your pet can relax in the waiting room and look forward to meeting his or her own veterinarian. We make all of our pies from scratch, in-house, using only natural ingredients with nothing weird, that-you-can't pronounce added. This includes only ultra-premium cuts of Canadian meat, the freshest produce and homemade beef, chicken and vegetable stocks, all enveloped in a dangerously delicious all-butter crust. 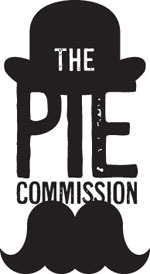 Bloody Good Pies! Crafty Coyote Ale House is the latest addition to Toronto’s bustling beer scene, featuring a craft beer selection like no other in The Annex neighbourhood with 30 rotating taps, three local casks, and sharing plates from our eclectic kitchen. We strive to offer the best of both local and international brews in a comfortable environment. McDonald's Canada is proud to continue our support of minor hockey in Canadian communities. atoMc Hockey builds on McDonald's Canada's 25-year relationship with Hockey Canada with the goal of providing support to Atom teams across the country. atoMc Hockey is the only Hockey Canada-endorsed minor hockey sponsorship initiative in Canada. The McDonald's atoMc program sponsors several teams at Swansea. The Doyle Wealth Management Group of RBC's Private Investment Management Group, takes a Family Office approach designed to manage every aspect of your investment and financial needs under one roof. Despite the many economic and political challenges of the past 150 years RBC has managed to safeguard its clients' investment interests and weather any storm. The Doyle Wealth Management Group strives to continue in this grand tradition. Sometimes, revolutions are less about evolution and more about getting back to basics. At Mad Mexican, we evoke the tradition of a bygone era – preparing our premium products with fresh, natural ingredients and the care, love and pride found in family kitchens. You can taste our passion for quality and authenticity in every bite, with all the rich flavours and textures of Mexico. The first time you try our products, you'll note the craftsmanship and artistry that went into making them. Dr. Rahul Saxena, a long-time coach and supporter at Swansea Hockey (and a very well trained pediatrician — guess we should mention that bit), has opened a local practice in the Junction neighbourhood. Roundhouse Pediatrics provides Well Child Care, Teen Counselling, and Urgent Care through scheduled appointments and walk-ins. From pulling Spiderman’s hand out of the nose of a toddler, to helping teens make peace with their parents, Dr. Saxena has seen it all. 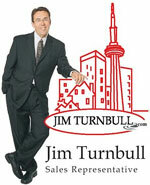 Jim has over 27 years of real estate experience in Toronto's West End. He is the recipient of numerous awards for a consistent high level of sales achievement and service amongst Royal LePage agents throughout Canada. Most notably, Jim is a Lifetime Member of Royal LePage's Award of Excellence, the highest award in recognition of truly exceptional long-term selling achievement. Jim's goal is to be your realtor for life by providing you with insightful strategies and sound advice to achieve your goals. Fullerton Productions specializes in lighting and video design for both broadcast television and live events. Working together with you, we can help make your next production a truly memorable event. Fullerton Productions also has many years of experience designing and installing television studios for both dedicated newsrooms, and general broadcast facilities. Pivot Sport Medicine and Orthopaedics is a patient-centred, multi-disciplinary rehabilitation clinic. Owned and operated Dinah Hampson, Pivot is conveniently located in the Bloor West Village area of Toronto. We focus not simply on injuries and symptoms, but on the entire person. Our team of sport and orthopaedic professionals works together to provide a collaborative and caring approach to diagnosing, treating and educating our patients. The Builder’s Café Ltd is a high-quality residential design and building company operating in Ontario. Owned and operated by Thom Carnegie, M.Arch with many years of building experience, the Café offers a truly integrated design-build service. BC Ltd accepts projects of all sizes with equal attention and respect. The design-build process is founded on understanding client daily needs, living patterns, budget and sense of beauty. The result: a crafted, individualized project. When not operating the Builder’s Café in Canada and co-coaching at Swansea, Thom works as an international shelter specialist on disaster and resource-based resettlement. Projects include Head of the Canadian Red Cross’s Shelter program in Haiti following the 2010 earthquake, Shelter/Project Manager in Indonesia following the 2004 tsunami and others in Africa, Southeast Asia, Kazakhstan and Turkey. The Timbits Minor Sports Program is a community-oriented sponsorship program for children four to eight years old who participate in local house league sports teams. The program's philosophy is not based on winning or losing - but on learning a new sport, making new friends, and just taking time out to be a kid. Tim Hortons currently sponsors over 200,000 children who play on hockey, soccer, lacrosse, t-ball, baseball and ringette teams across Canada and in the United States. Timbits hockey teams are often given the opportunity to play on-ice scrimmages during intermissions at Junior, American Hockey League (AHL) and National Hockey League (NHL) games. The Tim Hortons Timbit Hockey Program sponsors our entire Learn to Skate and Learn Hockey programs at Swansea. 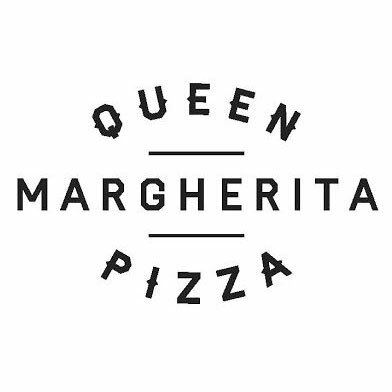 Queen Margherita Pizza started like every great recipe: with passion. A passion for Neapolitan pizza and dishes made with only the best, ethically sourced ingredients. From Italy and our own backyard. A passion for the city we live in and the places we eat. And a passion we’re happy to share with you. A family-owned Lebanese eatery preparing falafel, shawarma & other Middle Eastern fare. Absolutely delicious food! I believe in a responsibly managed fishery. I believe that everyone should participate in respecting our oceans, from the producers, wholesalers, retailers and to the end consumer. As they say now a chain of custody, where everyone should know where their fish is from. Educating the consumer is a large part of the business: is it wild caught, is it farmed, organic, sustainable. We know the answers. My original goal was just to give my customers a fresh fish experience. To help dispel of the perception of some people that all fish tastes fishy. I believe through hard work, product freshness and consistency I have achieved my goal. My second goal was to build our customers trust in us, our quality, and freshness. My ultimate goal was to build a business that is part of the community to which I now belong. 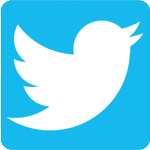 Please visit us at 263 Durie St. in Bloor West Village or give us a call at 416-767-4083. We provide expertise in all facets of commercial data processing including mainframe, minicomputer and microcomputer systems. Our software expertise ranges from routine business applications to the more esoteric systems and programming functions. Whether buying or selling, we give our clients an edge, by leveraging industry contacts, research, technology, and old-fashioned determined prospecting. 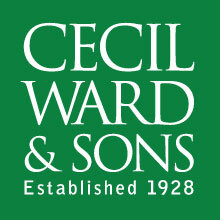 Clients trust us to provide a boutique-style, high level of service, and to work hard & strategically on their behalf. Ultimately we rely on referrals for a great deal of our business, so client satisfaction is paramount & the primary goal of our team.